Are you as crazy about sunglasses as me? I seriously think I’m addicted.. Anyways, it doesn’t matter if you’re into simple elegant classics or unique out-of-the-box designs: you can find both in Polette! The concept of Polette is simple and consists only of four components. Starts with the idea that it’s the only intermediate between the factory and the customer: which means lower prices for us! As for the frames, the hundreds of offered designs allow anyone to afford style and quality. Talking about quality- all lenses (single-vision, progressive or traditional) are anti-reflective and anti-scratching. Ain’t all of that great?! As for my choice, I decided to pick something extraordinary and out of the box: the Sambrodromo! These sunglasses look as awesome as their name sounds! I’m really into reflective mirror sunglasses this year and these didn’t disappoint me. I also got a case (here) and a special super cute wipe (here). I’ll soon share an outfit post, where you can see how the sunglasses look on me! Until then make sure to browse through the wide variety of designs, frames and colours that Polette has to offer! Those sunglasses are beyond of perfect ! amazing sunglasses! i think they would look great with fun summer outfits! Fabulous sunglass!! So in love with it ! I'm pretty obsessed with sunglasses too. But how can you not love and want them all!? wow, they are so cool! Ay no ay no I love this sun glasses! Love this, i do also buy mine at Polette! OH EM GEE. 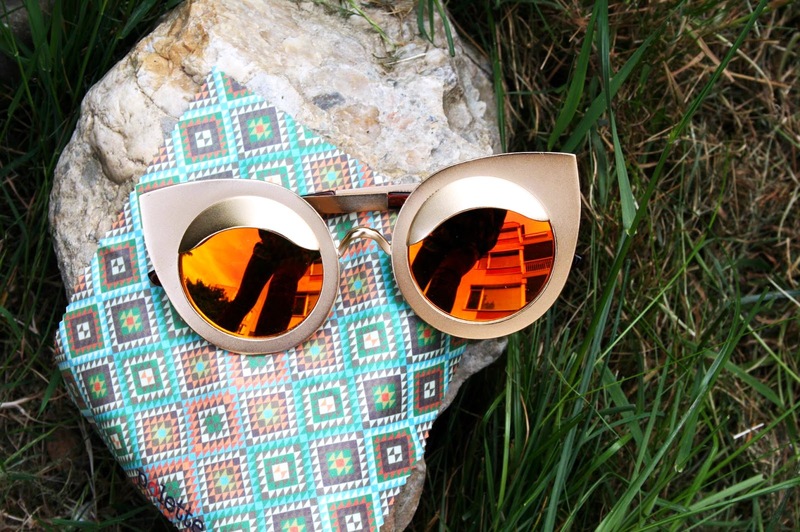 I need these sunnies in my life!!! So pretty !!! Love the shape of these sunglasses !! I love your pics! And the eyewear is so interesting! so cute! love the color of the lenses ! !